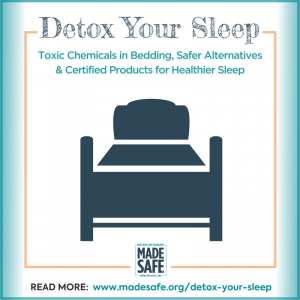 Do you know what ingredients could be lurking where you’re sleeping? Is it safe? Or is it full of nasty chemicals? We spend eight hours every night sleeping, okay we try to spend that much time sleeping comfortably in our beds. 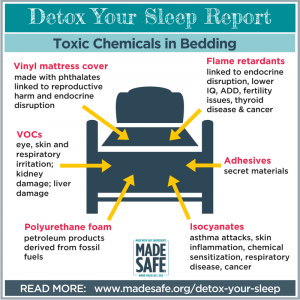 The crazy thing is our mattresses, sheets and pillows could be filled with chemicals that have negative heath effects. Thank goodness MADE SAFE® has a ground breaking report Detox Your Sleep all about possible toxic chemicals in bedding and of course safer alternatives. To download the full report go here. 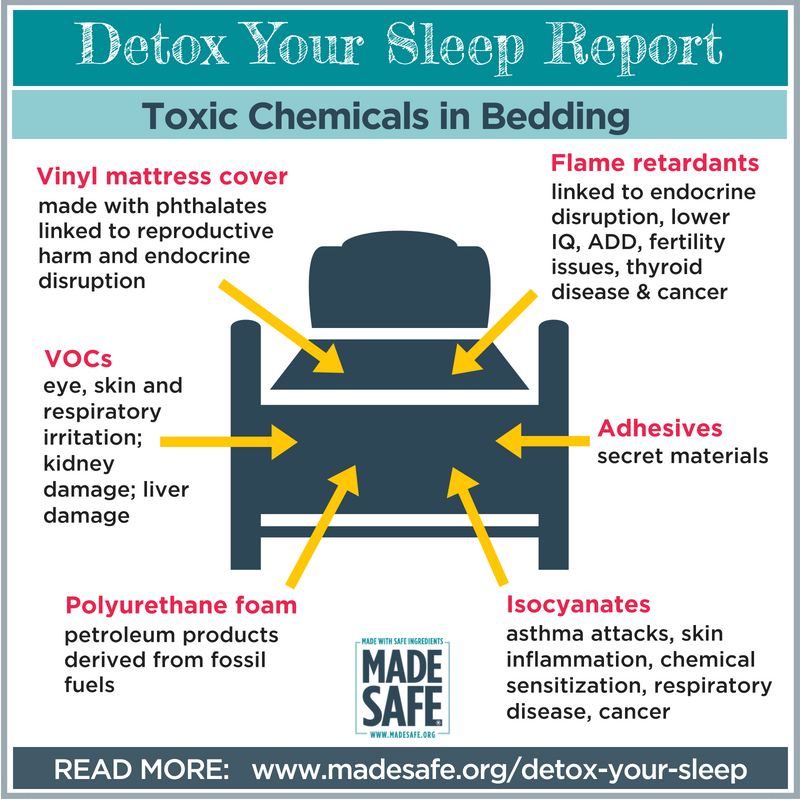 Think about how much time we spend in bed and what the exposure to possible toxic chemicals can do to us or our children (not a good image, right?!?). 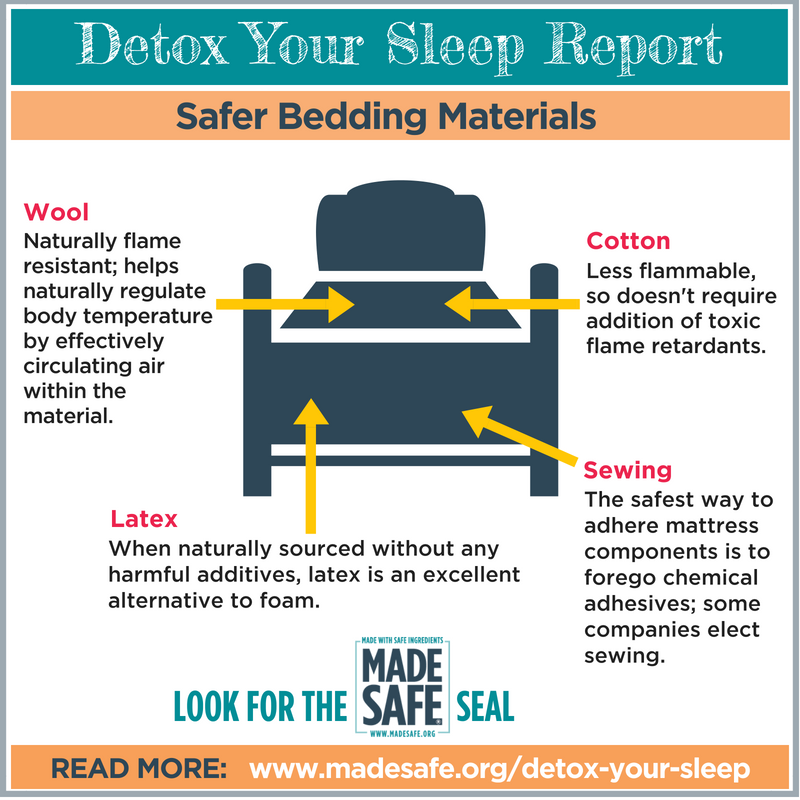 Check out the detailed list of MADE SAFE® bedding products here. I don’t know about you, but I want my bedding to be as clean/healthy as possible without potentially harmful chemicals. As consumers, we have the right to know what potential harmful ingredients are in our bedding. 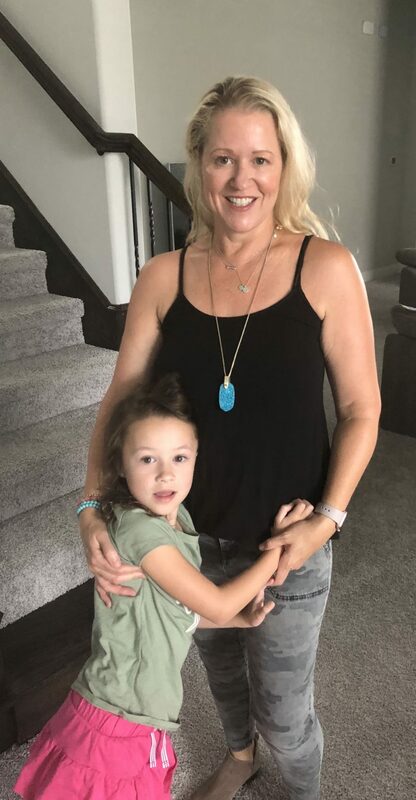 We deserve safe products for our entire family. When you’re in the market for bedding check out the Detox Your Sleep report, look for the MADE SAFE® seal when you can or find safer alternatives. Next Post CRUNCHI with an “I” – not just make-up. It’s a lifestyle – a way of life!